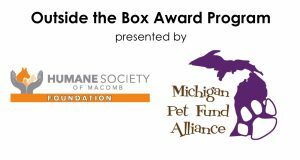 Michigan Pet Fund Alliance and the Humane Society of Macomb Foundation created the Outside the Box Award Program for Michigan shelters or 501(c)(3) home-based rescue organizations to recognize programs or procedures that are unique or exemplary that another shelter or rescue can easily replicate by just taking it “out of the box” and tweaking for their needs. MPFA and Macomb Foundation board members scored each entry for “Creative”, “Effective”, “Transferable”, and “Life Saving”. Four winners were selected. Each winner will receive a plaque and a $1,000 cash award and will present their awarded program/project/document at the next Getting to the Goal conference in fall 2018. The GCAC volunteer training program is designed to set up new volunteers for success and to offer ongoing training for the entire volunteer force. This program is for hands-on volunteers who are walking, socializing, and training dogs. It is a multi-tiered color-coded system of training checklists, classes, and experience. There are four levels offered and each can be achieved at the volunteer’s own desire and pace. A professional trainer conducts seven different classes onsite, free of charge. Levels are designed to meet the different behavioral needs of the dogs and to keep volunteers safe during the process. Humane Society of Livingston County (HSLC) has a creedo “What is in the best interest of the animals we serve?” and call themselves a “Quality of Life Shelter”. They know they cannot save the world, but can change the world of the dogs and cats that cross their threshold. They have built into each animal’s daily “care plan” purposeful attention to their mental, physical, and emotional well-being. Although HSLC is organized, clean, happy, loving place, it is not a home. The animals’ lives are turned upside down and HSLC staff owes it to them to offer a sense of sanity, comfort and stability. To that end, HSLC developed Packs and Pounces Enrichment Program. Adoptive canine and feline population of the shelter are divided into groups of 3 or 4. Dog groupings are “packs”; cat groupings are “pounces”. One pack and pounce are assigned to a specific kennel attendant for the day. A daily checklist of quality time spent on each animal is maintained with the goal of keeping the animals’ lives as interesting and stimulating as possible. Activities may consist of long leash walks, quiet time in the “real life room”, interactive time in play yard, reading time, car rides, sleepover reprieves from the shelter, full body brushing or bath, edible enrichment toys, meals in different presentation such as brown bag, muffin tin, etc. The Packs and Pounces Enrichment Program benefits from the expertise and guidance of a force-free positive trainer who assesses the canines and assigns “homework” for the kennel staff to accomplish with their Pounce of Pack during the week. 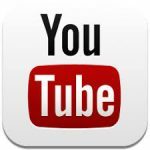 She provides training guidance, QR codes for applicable online training videos, tools, and equipment selected for dog’s specific needs and assists both kennel staff and dog walking volunteers. HSLC’s enrichment program saves lives by making dogs and cats happier, healthier, and ultimately more adoptable. Humane Society of West Michigan (HSWM) utilizes outpatient heartworm treatment plans for adopted animals in order to reduce their time spent in the fast paced shelter environment. HSWM has treated over 100 cases of heartworm disease in 2017 and has been able to perfect protocols for providing quality treatment in a stress-free environment. HSWM follows the American Heartworm Society guidelines for heartworm treatment. They begin with initial blood work and 28 days of Doxycycline, followed by the initial adulticide treatment. They then follow with 28 days of Prednisone, the second and final adulticide injections, and another 28 days of Prednisone. Adopters are educated on the importance of exercise restrictions and staff is available to answer any questions that may arise seven days a week. Currently, many shelters require that heartworm positive animals receive their treatment prior to even being placed up for adoption. This practice provides at least two negative influences on animals in shelters. First, if the shelter is following the recommended guidelines of the American Heartworm Society, the dog will remain in the shelter for at least 2-3 months awaiting treatment. Whether it be in a kennel or in the ever coveted foster home, this is space that can be better utilized for other animals in need (medically or behaviorally). Second, it is vital for animals undergoing heartworm treatment to remain calm and quiet to reduce complications. Heartworm positive dogs that are released are able to begin bonding with their new family in an environment that is conducive to their medical needs. This ensures the best possible outcome for their pending treatment. Under the leadership of Bay County Executive Jim Barcia, Bay County initiated efforts to establish Best Practices at the Bay County Animal Control & Shelter. Meeting monthly for six months, a committee of rescue and shelter volunteers along with shelter and animal control staff developed a plan for change which included updating the county ordinance, new protocols, new programs, physical changes, additional staffing, budget implications and a timeline. The goal is to move the shelter toward No Kill status. Paws Project is a community outreach program assisting Clarkston and nearby area residents who need help caring for their dogs. 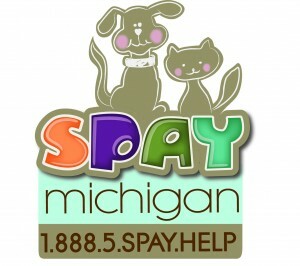 It includes spay/neuter, assistance with food and vaccinations/deworming, etc. There is also an education component where CCRC volunteers speak to the public, such as “Be a Tree” school presentations on basic dog behavior and body language for dog bite prevention. Cherryland Humane Society (CHS) raises money year round in their community using dog shaped coin banks in local businesses. They partnered with Blackbird Arts Studio and held events for the community to help paint new dog banks, which are now called “donor dogs”. In 2017, over 200 dogs have been placed in local businesses raising over $9,000 for the organization’s other programs which are instrumental in maintaining their No Kill status. Fix a Feline is a low cost sterilization program for owned and community cats. The shelter offers vouchers to the public for a fee of $20.00. The voucher covers the cost of the spay or neuter surgery and core vaccines if needed (CVR-CP, Rabies). A microchip can be added for an additional fee of $5.00. The shelter partners with area veterinary clinics to perform the surgery. Each clinic determines the number of surgeries they will do monthly. The shelter produces vouchers for each clinic, specific to the agreed number. Voucher holders contact the clinic on the voucher to schedule the procedure within the month of purchase. The shelter provides the vaccine, microchips, and pays the clinic $35.00 for each surgery performed. Clinics provide an accounting of sterilizations to the shelter on a monthly basis for payment. Furever Tails Animal Rescue is integrating essential oils into standard practices in rescue. With training from various sources, they have learned that many natural oils can help with various important aspects of saving lives. From sanitizing to cleaning to calming and alleviating stress, essential oils can assist in many day-to-day functions in rescue. Harbor Humane Society (HHS) holds the municipal contract for Ottawa County and takes in over 1200 stray cats each year. The county animal control officers and concerned citizens pick up stray cats to drop off at the HHS facility. The county would not allow SNR programs, which resulted HHS euthanizing hundreds of cats for many years. In the past year, HHS has had many changes and looked at solving problems and coming up with solutions. Obviously taking in frisky felines and euthanizing them did not benefit anyone. It made staff feel horrible and it put them at risk of getting bit. The cats did not care for coming to the shelter, being put on stray hold only to be euthanized at the end of the hold. So staff researched and decided on two alternative outcomes that would save these frisky felines’ lives. In the fall of 2016, the Working Cat Program and on-site Feral Cat Housing Program were initiated. The Working Cats find success working in organic pest control at barns, nurseries, and other places looking for some help preventing pests. Cats who are a bit more weary of human interaction are eligible for a feral cat bungalow. HHS is lucky to sit upon eight acres of rural landscape. These cats are vetted, spayed or neutered, and ear-tipped and then introduced and released into the feral cat bungalow and slowly transitioned to be free-roaming on the property. They have shelters set up for them, food delivered to them, plenty of places to roam, and vet care available if needed. These cats are well cared for and HHS believes this is a better alternative! Humane Society and Animal Rescue of Muskegon County believes that children hold the key to the future of our animal welfare, so they offer an education program open to children’s groups such as 4-H, Scouts of America, school field trips, and outreach to school classrooms. Children in the program learn many life skills including: responsibility, empathy, compassion, patience, respect, and kindness. They learn to relate their needs (food, water, general necessities, attention, and love) to what an animal needs while also teaching them the safest ways to introduce themselves and interact with new animals.